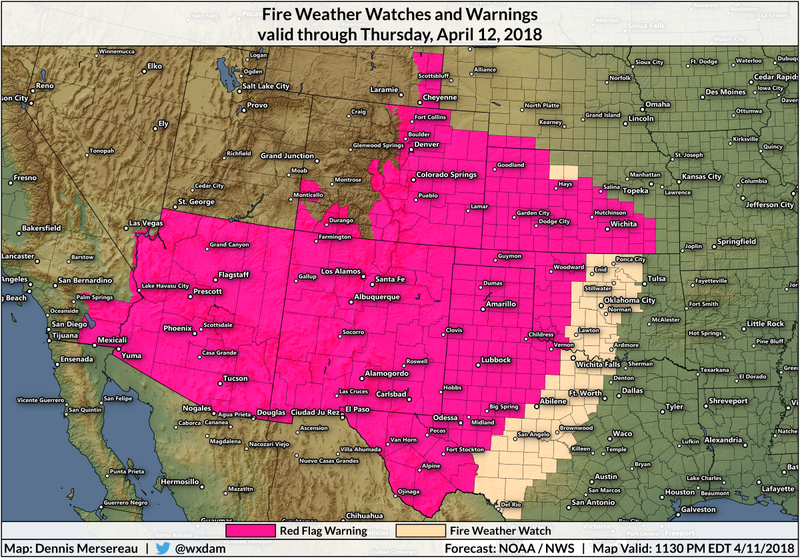 The risk for wildfires across the Plains and the Southwest will increase significantly on Thursday as dry, windy conditions take hold across the region. 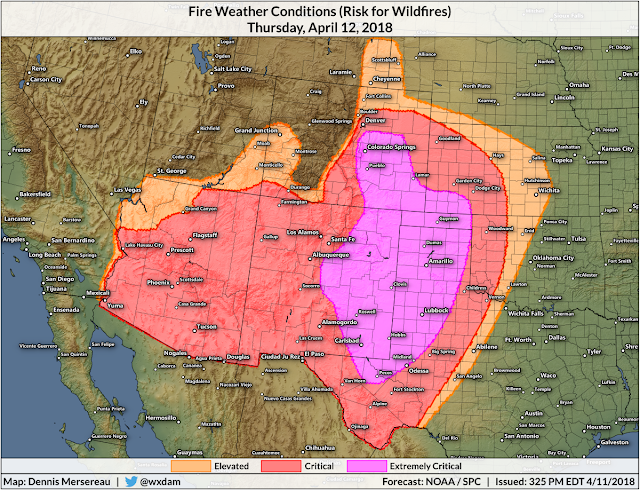 The Storm Prediction Center—which also issues fire weather outlooks—expects "extremely critical" fire weather conditions to develop over parts of the Plains and Southwest, potentially leading to wildfires that could explosively intensify and rapidly spread. The National Weather Service office in Midland, Texas, characterized the fire threat in their forecast area on Thursday and Friday as "potentially historic." Wind gusts higher than 30 MPH, widespread high temperatures in the 80s and 90s, and very low relative humidity values will contribute to the potential for even small burns to quickly grow out of control. NWS Midland tweeted on Wednesday night that this was a "potentially historic" fire weather event, invoking the "particularly dangerous situation" wording that's usually reserved for especially severe thunderstorms or other major disasters. A red flag warning is issued when critical fire weather conditions—those listed above—are occurring or imminent. A fire weather watch is issued when critical fire weather conditions are possible over the next day or so. An enormous chunk of real estate is under one of these watches or warnings for Thursday and even into Friday. 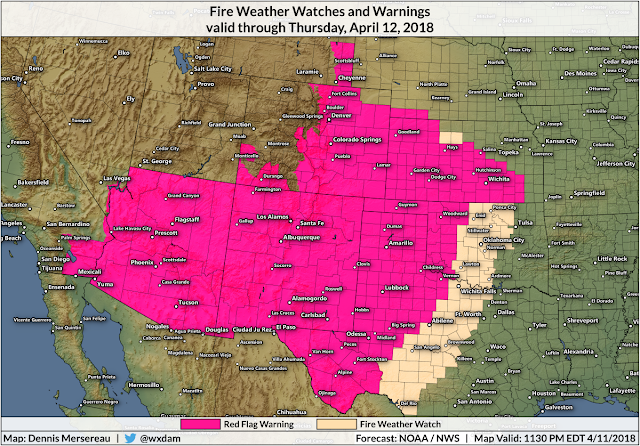 The red flag warning includes the entire states of Arizona and New Mexico, significant portions of Colorado, Texas, Oklahoma, and Kansas, as well as small parts of Nebraska and Wyoming. A fire weather watch extends farther east including Oklahoma City, Wichita Falls, and Abilene. The area under threat for wildfires over the next couple of days has slipped into a deep drought since the end of last year. Nearly half of Oklahoma is in some level of drought; the most recent U.S. Drought Monitor found 15 percent of the state mired in an "exceptional" drought, which is the worst on a five-point incremental scale starting with "abnormally dry." 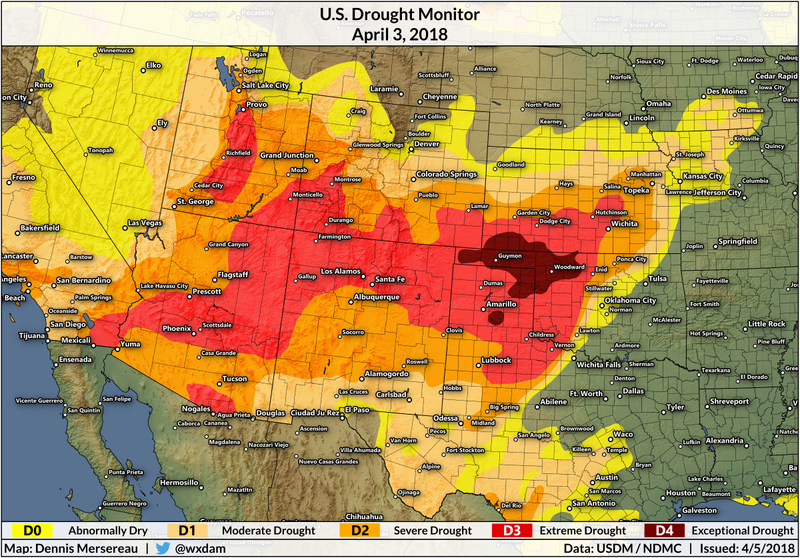 Many of the areas in the worst drought conditions have seen less than 25 percent of their average rainfall over the past 180 days. It's not a coincidence that these drought areas are also under the highest risk for wildfires this week. Meteorologists will be able to track any fires that develop with incredible clarity and speed thanks to NOAA's new weather satellite GOES-16. The satellite's shortwave infrared product can give meteorologists a look at fires burning with imagery updated every 30 to 60 seconds. This will help emergency officials rapidly get the word out to folks in danger and give first responders a better idea of where fires are located and spreading. The Storm Prediction Center expects critical fire weather conditions across the desert Southwest and southern Plains to persist on Friday and Saturday. 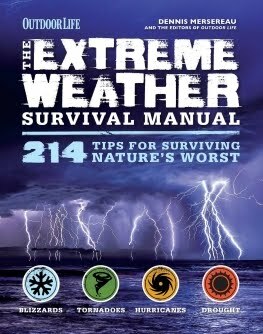 The agency's forecast on Wednesday afternoon noted that extremely critical conditions "appear possible" again on Friday.